Neurofeedback is a type of Biofeedback for the Brain. The electrical activity of the Brain drives images and sound on the computer to give feedback on how it is working. With a number of 30 minutes session’s people can learn to control their brain activity and modify their symptoms. Transcranial Direct Current Stimulation or tDCS, is a form of neurostimulation where very low levels of electrical current from a simple battery, are delivered to specifically targeted areas of the brain. Virtual Reality Therapy allows people to safely confront the object or environment that frightens them and learn how to deal with it. 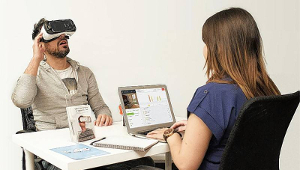 You can practices an interview or a social situation with Virtual Reality, till you get it right. Every thought, feeling and action has an underlying brain wave pattern. Normal patterns of attention, arousal and well-being are created and maintained at deep physiological levels. Due to stress, genetics, trauma, drug or chemical exposure these patterns can get disregulated. This limits development and may result in the establishment of self-limiting attitudes and patterns of behavior. Cognitive and linguistic abilities can be affected as much as emotional development. However neurofeedback can help the individual to learn and maintain more efficient attention and response patterns. Life becomes simpler, easier, less effortful and stressful when the brain is working optimally. Productivity and creativity is stimulated and the individual can reach levels of peak performance. Sensors are placed on the “trainee’s” scalp and on each ear. 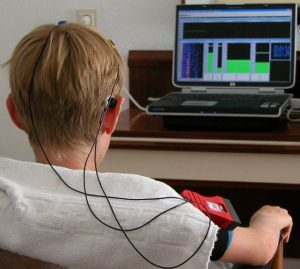 Brainwaves are monitored by a computer and goals are set that require the trainee to voluntarily produce more beneficial brainwave patterns. A second linked computer “coaches” the trainee by presenting visual, auditory and tactile representations of the trainee’s brainwave signals in a video game format. This process is called feedback because it informs the trainee about his or her momentary success in making the desired brain changes. As the trainee exercises this ability to voluntarily change brain activity, new and beneficial response patterns are created. 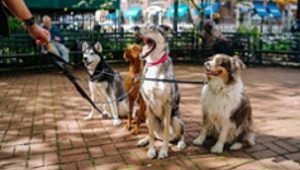 Practised over an average of 20 to 40 sessions, these new modes of behaviour are well learned, becoming natural responses available whenever needed. Neurofeedback is becoming part of the special needs equipment in American schools. Helping Dyslexic, Dyspraxic, Dysgraphic, Dyscalculic, Autistic and Attention Deficit children, among others. All specific learning difficulties have a similar underlying brainwave problem that affects either linguistic, motor, concentration or emotional output. The academic consequences are seen in reading, spelling, writing, listening, attention and motivation problems in the classroom; lack of co-ordination on the sports field or playground or social interaction in general. Involves a complex interaction throughout the left hemisphere, aspects of the right, and sub-cortical areas, all contributing differently to reading and spelling. These sub-components of reading need to be in precise, interlocking harmony before a word is recognized. Neurofeedback can help integrate these. when links from the auditory areas to the visual are weak, it is difficult to put thoughts into written (visual) form – this circuit can be stimulated by neurofeedback. Holding sequences in mind in order to manipulate them is necessary in both reading and arithmetic. This aspect of working memory can also be enhanced by neurofeedback. The integration of the senses with the motor area so that output is smoothly matched by input can help the clumsy, uncoordinated child. The EEG Spectrum Mental Fitness Training Programme began in 1985, based on more than 20 years research by Professor Barry Sterman, Ph.D. He has published over 160 scientific papers which clearly indicate that, with the assistance of Brainwave training or neurofeedback, the brain is capable of learning and maintaining new, more beneficial response patterns even in the face of severe functional deficits. Excited by the potential of neurofeedback for their own son, scientists Siegfried and Sue Othmer made a commitment to bring this technique out of the laboratory and into public use. EEG spectrum opened it’s first clinic in Encino, California in 1989. A comprehensive training course followed and now there are over 1,500 professionals using EEG techniques in the USA with over 300 affiliated centres in Europe, Australia, South Africa and New Zealand. EEG Spectrum promotes all aspects of the neurofeedback field, providing training for professionals in medical, educational and psychological fields. Neurofeedback can contribute to the resolution of some of the most intractable problems in our society: the problems of addiction, impulsive and violent behaviour, mood disorders, the mental decline of the elderly and the learning and behavioural difficulties of children. It has also proven itself powerfully in clearing and focusing the brain for peak performance. Expanding the potential of this exciting new approach will likely be one of the major thrusts in the filed of mental health in the 21st century. A readable history is in “Symphony in the Brain” by Jim Robbins. tDCS stands for Transcranial Direct Current Stimulation and is a form of neurostimulation (also known as neuromodulation) where very low levels of electrical current from a simple battery, are delivered to specifically targeted areas of the brain. It can do this because brain cells communicate with each other through electro- chemical means. Our whole brain is alive with electricity that passes on what our senses tell us about the world to the relevant areas. Originally developed to help patients with brain injuries such as strokes where damage has decreased the electrical communication, later research on normal adults demonstrated that tDCS can increase cognitive performance on a variety of tasks, keep the aging brain active and help many psychopathological conditions, just by allowing the electrical flow to less active areas. In education, studies have shown that tDCS has the ability to enhance language and mathematical ability, attention span, problem solving, memory, and coordination. In addition, tDCS has also been documented as having potential to treat depression, anxiety, PTSD, as well as chronic pain. Most anxiety problems can be treated successfully by exposing the client safely to the feared object. 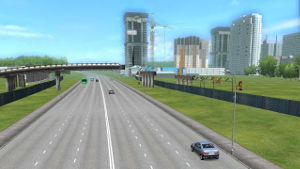 Thus people can practice an interview or a social situation in a virtual reality version of the real situation. The people in the VR scene evoke the same emotions as in a real situation but the situation can be rehearsed in ways that can’t happen in real life. Mistakes can be identified and the scene rerun until the client is confident of success in real life. For some, anxiety rises on seeing a creepy crawly. But no longer are these or fears of contamination through germs, blood or dirt, relevant. Or closed or open spaces. Each phobia has a sensible evolutionary basis buried deep within our emotional limbic brain. But in today’s more hygienic society our predators are only in zoos and spaces are unlikely to hide ambushes. It would be more sensible to fear electric sockets or fast cars but our rational thinking brain has little say over the emotional fear driven brain. Until VR evokes all the senses to make the fear tangible and available to the thinking brain. It can then communicate with the emotional brain which allows it to let go of the fear. This is the system we use. 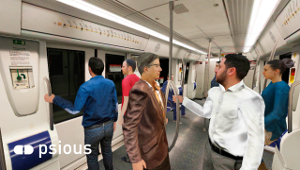 Psious is the developer of a mobile based technology, made by psychologists for psychologists, using hyper-realistic virtual environments to treat anxiety disorders by means of virtual exposure therapy. The platform has a suite of mobile applications with virtual environments to provide treatment for multiple phobias as: fear of flying, acrophobia, claustrophobia, agoraphobia, among other, as well as relaxation and Mindfulness environments. 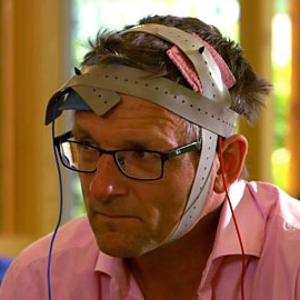 This BBC articular is about VR therapy in general, not the system me use. Psychologists and computer scientists are testing to see whether virtual reality could be used to treat mental health conditions. They believe that because the virtual scenarios are so realistic, they could be used to train and heal our minds. With mental health services under so much pressure, could virtual therapy be the solution? Victoria Derbyshire reporter Jean Mackenzie went to test it out. (This features Prof. Mel Slater who Tony worked with on a research project doing VR Neurofeedback for Actors at RADA). A man steps up to the podium before a crowded auditorium. His hands are clammy and his throat feels dry. He glances at his laptop, reviewing the first slide of his presentation before taking a deep breath and starting his speech. Sean Sullivan, PsyD, decides he can push his patient further. Sullivan fiddles with the controls and before his patient’s eyes, the warm, welcoming audience transforms to a skeptical, unreceptive crowd. As the patient’s anxiety climbs, Sullivan coaches him through the relaxation exercises they’ve practiced. Mental health problems are inseparable from the environment. 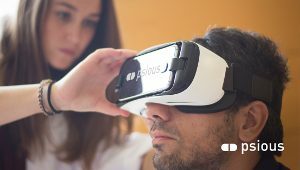 With virtual reality (VR), computer-generated interactive environments, individuals can repeatedly experience their problematic situations and be taught, via evidence-based psychological treatments, how to overcome difficulties. VR is moving out of specialist laboratories. Our central aim was to describe the potential of VR in mental health, including a consideration of the first 20 years of applications. A systematic review of empirical studies was conducted. In all, 285 studies were identified, with 86 concerning assessment, 45 theory development, and 154 treatment. The main disorders researched were anxiety (n = 192), schizophrenia (n = 44), substance-related disorders (n = 22) and eating disorders (n = 18). There are pioneering early studies, but the methodological quality of studies was generally low. The gaps in meaningful applications to mental health are extensive. 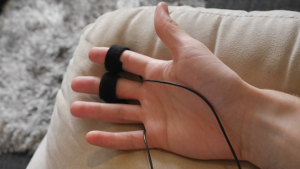 The most established finding is that VR exposure-based treatments can reduce anxiety disorders, but there are numerous research and treatment avenues of promise. VR was found to be a much-misused term, often applied to non-interactive and non-immersive technologies. We conclude that VR has the potential to transform the assessment, understanding and treatment of mental health problems. The treatment possibilities will only be realized if – with the user experience at the heart of design – the best immersive VR technology is combined with targeted translational interventions. 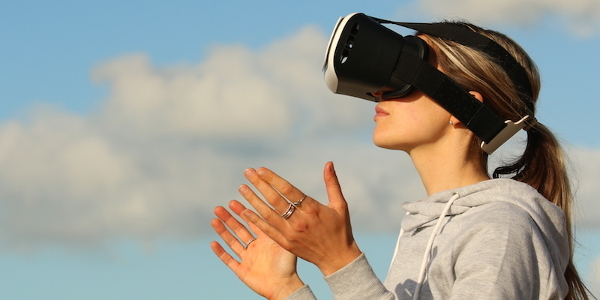 The capability of VR to simulate reality could greatly increase access to psychological therapies, while treatment outcomes could be enhanced by the technology’s ability to create new realities. VR may merit the level of attention given to neuroimaging. 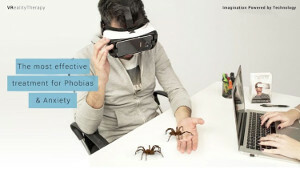 The Use of Virtual Reality Technology in the Treatment of Anxiety and Other Psychiatric Disorders. We report a meta-analysis of virtual reality (VR) interventions for anxiety and depression outcomes, as well as treatment attrition. We included randomized controlled trials comparing VR interventions, alone or in combination, to control conditions or other active psychological interventions. Effects sizes (Hedges’ g) for anxiety and depression outcomes, as post-test and follow-up, were pooled with a random-effects model. Drop-outs were compared using odds ratio (OR) with a Mantel-Haenszel model. We included 39 trials (52 comparisons). Trial risk of bias was unclear for most domains, and high for incomplete outcome data. VR-based therapies were more effective than control at post-test for anxiety, g = 0.79, 95% CI 0.57 to 1.02, and depression, g = 0.73, 95% CI 0.25 to 1.21, but not for treatment attrition, OR = 1.34, 95% CI 0.95 to 1.89. Heterogeneity was high and there was consistent evidence of small study effects. There were no significant differences between VR-based and other active interventions. VR interventions outperformed control conditions for anxiety and depression but did not improve treatment drop-out. High heterogeneity, potential publication bias, predominant use of waitlist controls, and high or uncertain risk of bias of most trials question the reliability of these effects. 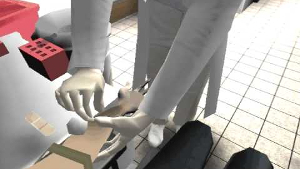 Virtual reality in the assessment, understanding, and treatment of mental health disorders. 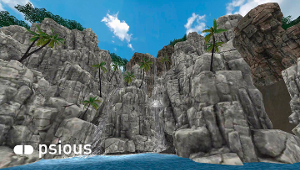 Virtual reality exposure in anxiety disorders: impact on psychophysiological reactivity. 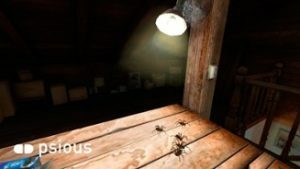 Virtual reality exposure therapy for social phobia: A pilot study in evoking fear in a virtual world. Feasibility of Virtual Reality Environments for Adolescent Social Anxiety Disorder. 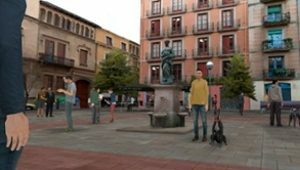 Virtual reality compared with in vivo exposure in the treatment of social anxiety disorder: a three-arm randomised controlled trial. Virtual reality exposure therapy for Vietnam veterans with posttraumatic stress disorder. 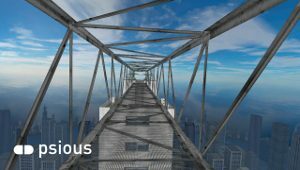 Virtual Reality Exposure Therapy for World Trade Center Post-traumatic Stress Disorder: A Case Report. Virtual Reality Exposure for PTSD Due to Military Combat and Terrorist Attacks. Comparison of the Effectiveness of Virtual Cue Exposure Therapy and Cognitive Behavioral Therapy for Nicotine Dependence. 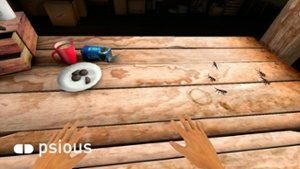 The use of virtual reality in craving assessment and cue-exposure therapy in substance use disorders. Crushing Virtual Cigarettes Reduces Tobacco Addiction and Treatment Discontinuation. Assessing reactivity to virtual reality alcohol based cues. 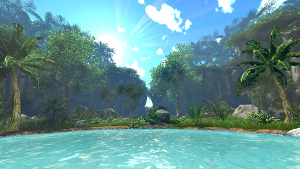 Embodying self-compassion within virtual reality and its effects on patients with depression. A single-session growth mindset intervention for adolescent anxiety and depression: 9-month outcomes of a randomized trial. Efficacy of the virtual reality-based stress management program on stress-related variables in people with mood disorders: the feasibility study. 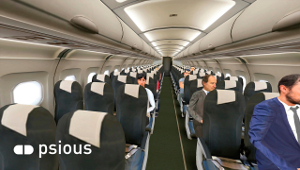 A controlled study of virtual reality exposure therapy for the fear of flying. 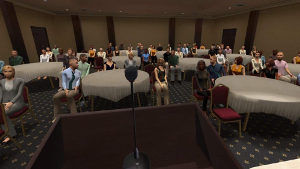 Cognitive behavioral therapy for public-speaking anxiety using virtual reality for exposure.